Few cities in Europe parallel the beauty of Amsterdam, the “Venice of the North.” With brightly-colored houseboats bobbing up and down on the canals that ring the old city center, you don’t have to go far to find beautiful places to visit in Amsterdam. If you like your beauty in the form of art, Amsterdam is home to several notable museums, including the Rijksmuseum. This art museum houses some of the best-known Dutch artists like Vermeer and Rembrandt, and serves as a lesson in Dutch history and art. If modern art is your bag, check out the Stedelijk. Its photography, sculptures, and other installations span several decades. The Foam Fotografiemuseum is also worth visiting for a real-life perspective from artists around the world. And of course, no art lover’s trip to Amsterdam would be complete without a visit to the Van Gogh Museum, a tribute to Holland’s best-loved artist. 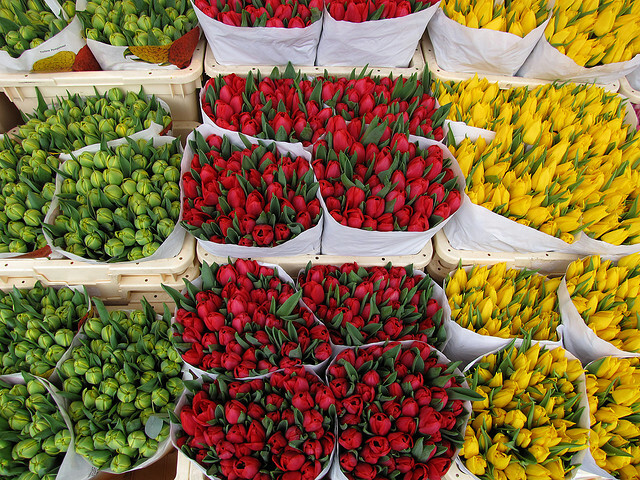 Experience the one-of-a-kind floating flower market, the Bloemenmarkt, where you can buy an array of flowers. Naturally, there are tulips of every color available for purchase and yes, you can take the bulbs home. For more immersion in nature, pack a picnic and head to Vondelpark, an expansive park with ice skating in the winter and more than 70 types of roses blooming in warmer months. What’s more classically Dutch than a windmill? Few traditional windmills are left, though the De Gooyer still manages to attract tourists. If you happen to visit in the spring, don’t miss Keukenhof Gardens, overflowing with more than 7 million tulip bulbs, just a short drive from Amsterdam. Wrap up a day of sightseeing in Amsterdam at the SkyLounge at the Doubletree Hotel Amsterdam Centraal Station. The views from this 11th-floor bar and restaurant of the city are unparalleled. If you enjoy people watching, Dam Square’s the place to go at night when the lights on the statues and buildings make a great backdrop for observing nightlife. 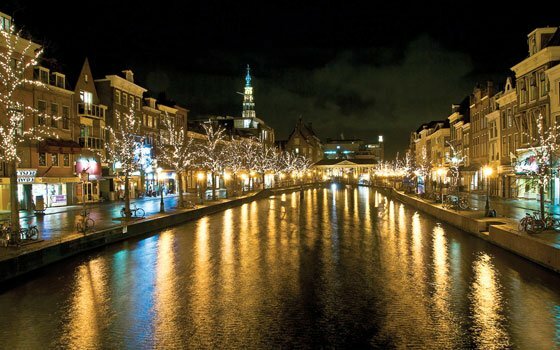 With so many beautiful things to see in Amsterdam, you’ll want to extend your trip!